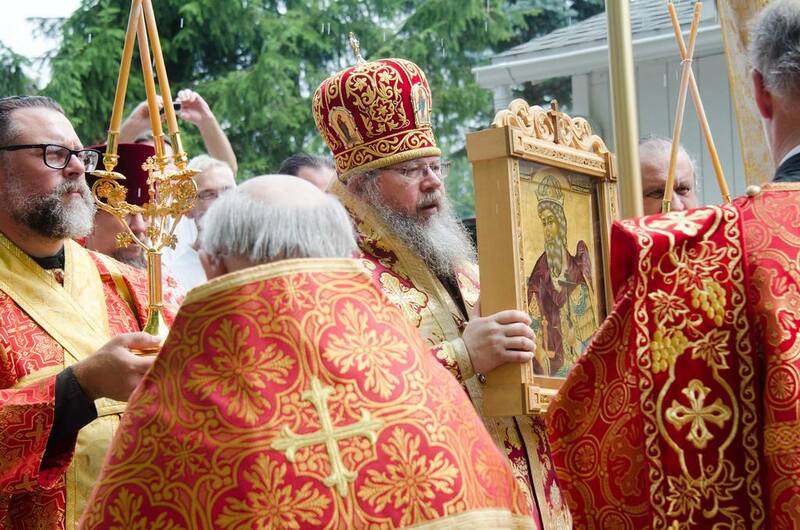 With the blessing of His Eminence, Archbishop Peter, Metropolitan Jonah will lead the Divine Services our Ann Arbor parish’s second Pascha – their parish feast day. Vigil for St. Vladimir’s day is set for 5:00 p.m. on July 27, with Divine Liturgy on July 28 at 9:00 a.m. Following the Divine Liturgy on the feast day a festal meal will be held. All are welcome to the Divine Services and the festive meal! NOTE THE EARLY START TIME FOR VIGIL AND DIVINE LITURGY! 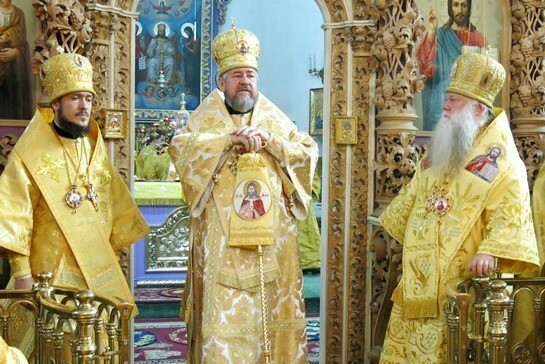 With the blessing of Archbishop Peter of Chicago & Mid-America, Metropolitan Philip of Poltava and Mirgorod of the Ukrainian Orthodox Church will lead the Divine Services at Dormition Cathedral in Ferndale on Saturday evening, June 17 and at St. Vladimir Church in Ann Arbor/Dexter on Sunday morning, June 18. Vigil on June 17 begins at 6:00 p.m. in Ferndale, with the meeting of His Eminence in Ann Arbor at 9:00 a.m. All are welcome. His Eminence speaks Russian, Ukrainian, and English. The Holy Fire from Jerusalem, the same Holy Fire that descends on the Holy Sepulcher there every Holy Saturday, will reach the Michigan Deanery at 6:00 p.m. on Thursday, April 27. Our St. Vladimir parish will receive the flame, and after lighting all the lamps in the parish church, a Thanksgiving Moleben will be held. Following the moleben the faithful will have the opportunity to venerate the icons of the Lord's Resurrection and of Thomas Sunday, and access the flame to bring home for themselves if this is desired. It is important that those who wish to bring the Fire home bring a suitably safe lantern or other vessel in which to transport the flame in their vehicles. All are welcome.